Utah has many great lakes and reservoirs to explore and enjoy, and the best part? 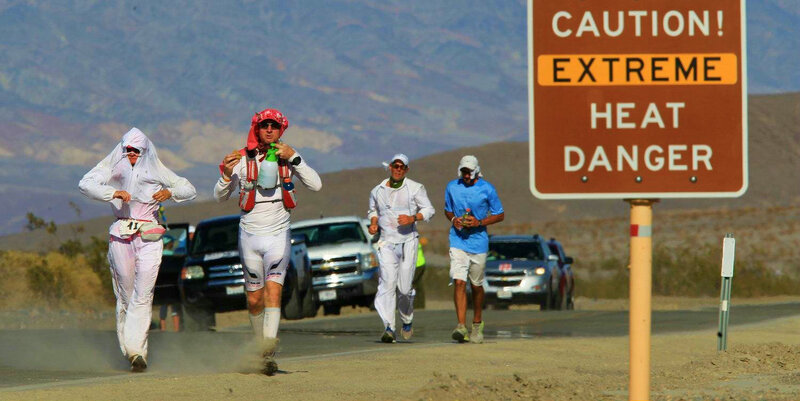 Some are only an hour or less away from Salt Lake City! These boating locations are State Parks and Reservoirs, which will require a fee to get in. The fee will depend upon how long you are planning to stay at the Park and what you plan to do, so make sure you plan accordingly. And if you forgot your boat, jetski, paddleboard, or other important watercrafts, many of these places have rental shops where you are able to get what you need. 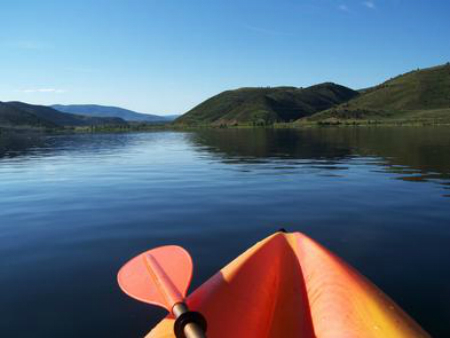 If you’re looking to expand your Salt Lake City water adventures, try something new like windsurfing, kayaking, or parasailing! The Great Salt Lake is Utah’s largest body of water, and it’s very salty. 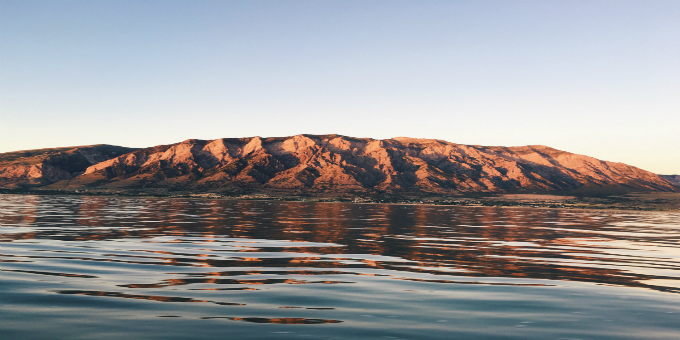 While not a popular place for watersports, The Great Salt Lake is a fantastic cruising destination. It has a variety of small islands to explore and some of the long beaches are the best in the state. But be aware, the extremely salty water requires boaters to flush out their engines and rise off their boats before leaving as the salt can rust metal very quickly. 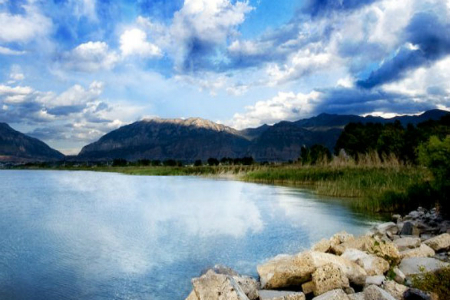 Utah Lake is a large body of freshwater that is very popular for boating, watersports, and fishing. 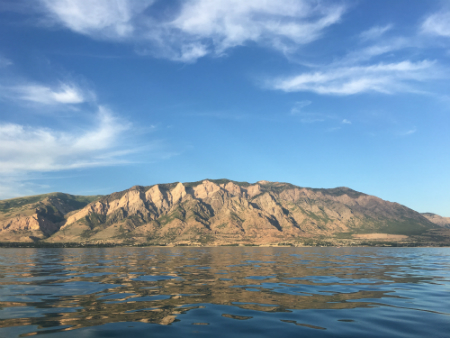 Utah Lake is a State Park that offers boat, jetski, paddleboards, and more through Epic Rentals. The park also has great campgrounds and picnic areas for those who are interested in sticking around for a while. And with views like this, why wouldn’t you stick around? Jordanelle State Park is located above Heber Valley in Wasatch County. 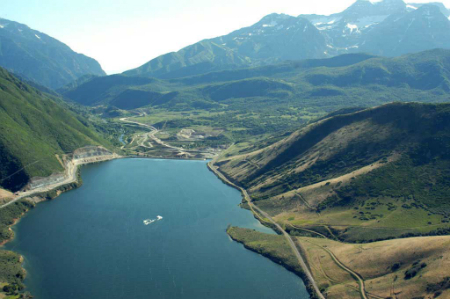 The reservoir is filled by the Provo river and is a very popular destination for boating and fishing. Jordanelle also hosts many fun and entertaining events throughout the summer months, such as the Sail-a-Palooza day in June, a Paddle Festival, and a “Fire on the Water” firework celebration in July. They also have frequent fishing tournaments and a Free Fishing Day on June 8 where a fishing license is not required. It’s a great catch! Rockport is a first-rate, year-round recreation hotspot in Northern Utah. The summer months are used for boating, fishing, and lots of water skiing! 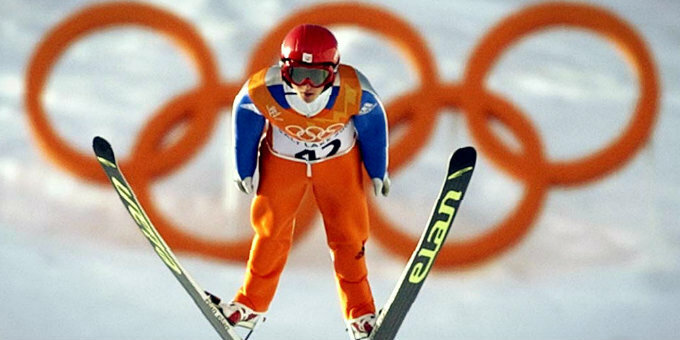 Forgot your skis? Don’t worry, Rockport has a rental area where you are able to find all you need and more to have a great day on the water. And if you decide that one boating day wasn’t enough, take some time and camp in one of the five developed campgrounds in this State Park. Sounds pretty good, doesn’t it? The Echo State Park is a recently new State Park as it opened to the public in May, 2018 after the change in management. That was the first time Echo was open to vehicles and invited those wanting to boat to launch out of the main marina. 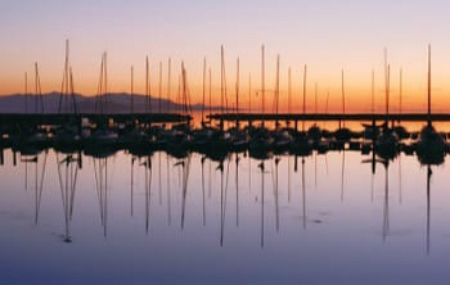 The Echo Marina offers many different rentals, such as new wave runners and pontoon boats to enjoy. Because the opening of the reservoir was so recent, there are not many planned events to attend, but don’t let that discourage you from enjoying the beautiful water and good times! 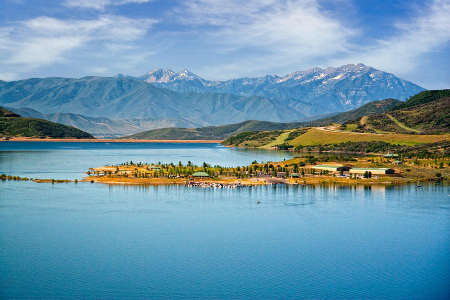 Pineview Reservoir (one of my personal favorites) is a beautiful body of water that offers great opportunities for fishing and watersports. 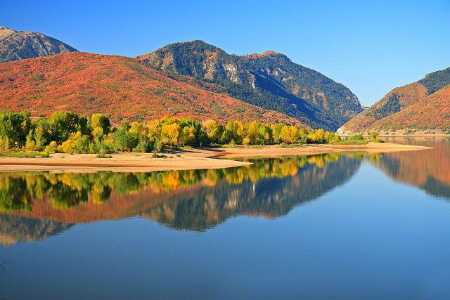 Pineview is located in the mountains of Ogden Valley, which makes the drive almost as pretty as the water. 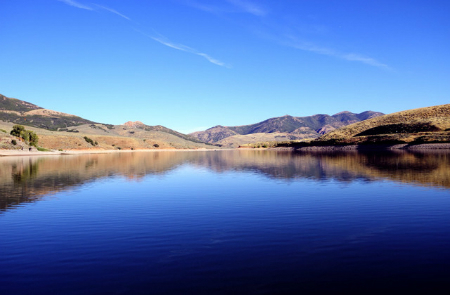 Because Pineview Reservoir is surrounded by mountains, the water is usually calm with little to no wind, making it perfect for water skiing and wakeboarding. And if you’re into fishing, Pineview is known for its *very* large tiger muskies. Just don’t think about them when you’re in the water and you’ll be fine. Willard Bay State Park (another one of my favorites) is a great place to boat, ski, wakeboard, and swim. The water is warmer than most other lakes in Utah, making it a little more enjoyable to get in and not want to jump right back out. And from personal experience, I suggest bringing A LOT of bug spray, especially if you’re planning on staying until the late afternoon hours. But again, from personal experience, it’s totally worth it. 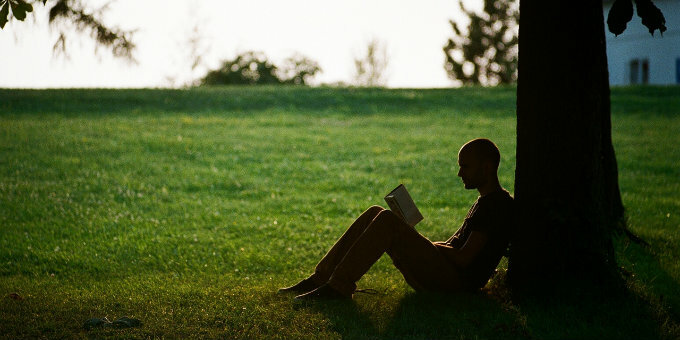 Deer Creek State Park is the ultimate place to be for many fun options! The reservoir is a great place for boating, swimming, and even windsurfing. Deer Creek is very passionate about life jackets and the fact that cold water conditions exist and they can be dangerous. Be sure to check over rules and regulations for each State Park and make sure you have everything you’ll need to be able to enjoy the water. East Canyon State Park is almost hidden in the mountains of northeastern Utah. 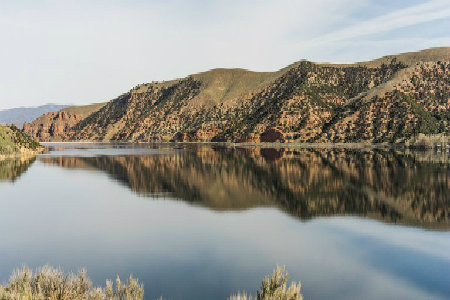 East Canyon is a popular destination for boating, fishing, and camping and the surrounding area gives some of the prettiest views. East Canyon hosts a Youth Fishing Tournament in early April that gives kids from all different ages a chance to show their skills and have a fun experience.